I’ll let Anne introduce herself and talk a bit about her work and our upcoming project!! Generally speaking, I’m not known for playing well with others. At least, not in my creative pursuits. I spent my art school years learning to be a painter, and as everyone knows, painters paint alone in their garret, living an isolated, tortured existence. Cutting off your ear is considered optional. Visual art was my thing, no illustrating, no cartooning, no printmaking, nothing but all painting, all the time, and stay out of my very private studio, thank you very much. I had absolutely no intention of becoming a writer. The pandas made me do it. Their voices invaded my brain, and I had no choice but to write down their words and the stories they told, and draw pictures of them, as they popped into my head. The Panda Chronicles blog, which features Your Brain on Pandas comics, sprang forth from my playtime with pandas. 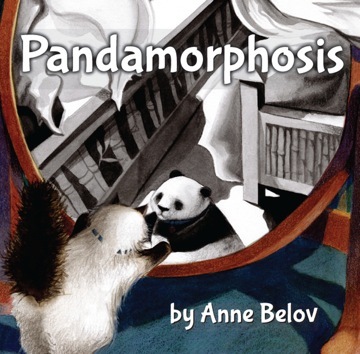 This eventually led me to write Pandamorphosis, my wordless picture book. Pandamorphosis brought my fine art training to bear (pun intended) and merged it with the comical nature of my …um…comic pandas. So, while adrift on the internet, looking for readers who just might be looking for panda satire, something very unexpected began to happen: I started making connections. In art, as well as music and in publishing, the game has changed. No more can the creative introvert sit in their tower, far above the clamor down below. The internet makes it possible, no, make that mandatory, that the writer connects with the crowds. Assuming, of course that the crowds have come calling. It is this cyberspace connection that makes these interactions easy, not to mention possible. And now, through this world-of-the-future marvel, I am about to embark on a collaborative project with my hostess here at VSomethingSpeaks. Sometime towards the end of last year, Vicky approached me with the idea of writing a cookbook, based on the characters of Your Brain on Pandas. At first, I was a little skeptical. After all, these are my pandas. But then she began to share some of the character sketches and recipes, with photos, (because of course if you are going to write a cookbook, you must test the recipes exhaustively,) and I began to see that she had a feel for my pandas, and would treat them with respect. We began to talk of a collaborative project, combining her recipes and writing, with my comics and illustrations. Did I forget to mention that this is a cupcake, make that a cuppycake cookbook? We hope you will follow along on our frosting filled journey. We’ll keep you updated on our progress here and over at The Panda Chronicles. Vicky might even share a recipe or two. Anne Belov is a visual artist, cartoonist and writer living on an island in the Pacific Northwest. You can find her paintings at The Rob Schouten Gallery in Greenbank, WA, her cartoons on her blog The Panda Chronicles, and read her guest posts on Whidbey Life Magazine, an on-line journal of arts, food, and culture on Whidbey Island. Her book Pandamorphosis was funded by her third successful Kickstarter project. Her only regret in life is that there is no MacArthur Grant awarded for panda satire. Make sure you visit Anne’s links!! Thank you Anne for your wonderful words. You are so right about making connections!! Meeting people like you online continues to be one of the more rewarding experiences of being a writer, as is getting feedback and comments from the lovely people who stop by and visit. Well, I’m learning to play well with others…. I want a cuppycake cookbook! Please hurry! 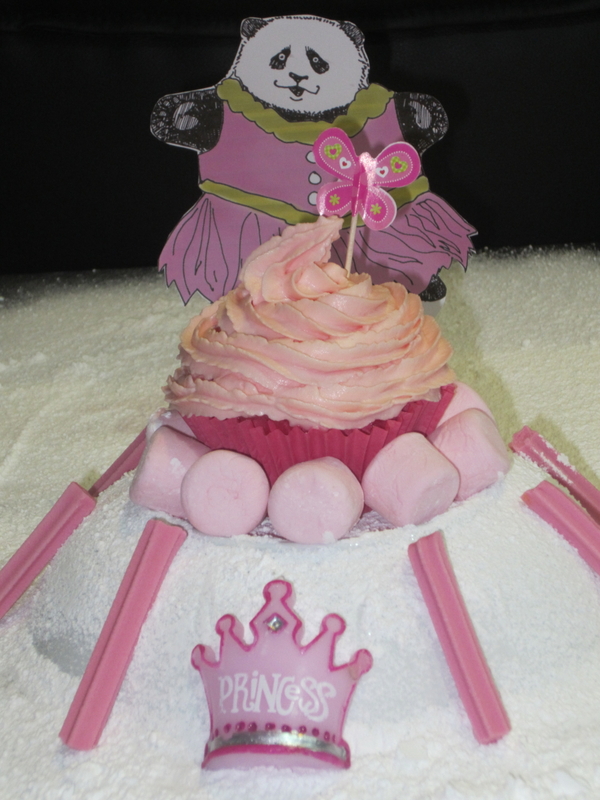 Can’t wait for the cuppycake cook book, can I order a pandaball cuppycake? I think the book will be great put me down for a few to share with family and friends, thanks. Great to have pre-orders for the book! !